My goal by the end of this ACSM review is to have you realize whether or not it aligns with your personal training goals or not. 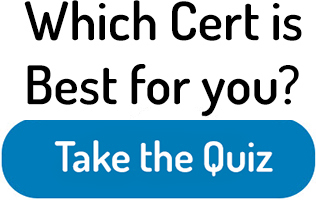 Let’s quickly do an overview of the pros and cons of this well-known certification. 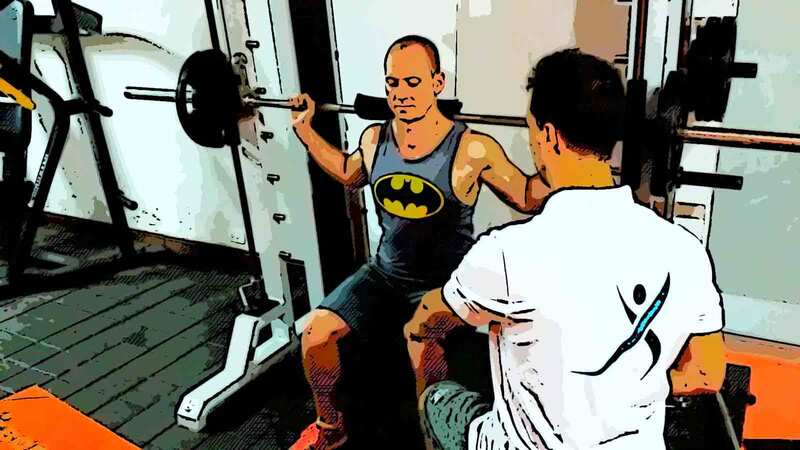 Afterward, I highly suggest checking out my ultimate guide on the best 5 personal training certifications (which includes ACSM) as well as my step-by-step guide on how to become a trainer. 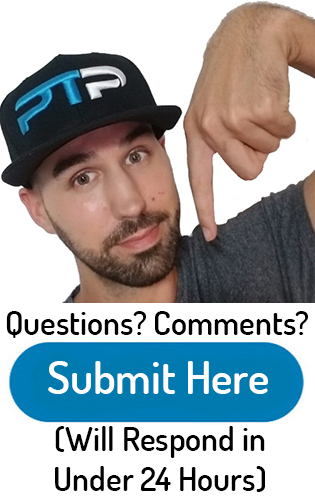 I suggest that you Take the quiz to see which personal training certification is right for you. ACSM offers two different levels of certifications. The first certification is their general CPT (Certified Personal Trainer). The more advanced certification is called HFI (Health Fitness Instructor). This second tier certification requires you to have a college degree. This two-tier system is very similar to NSCA’s CPT and CSCS certifications. ACSM has been around for a very long time. It was the second certifying agency to get accredited by the NCCA. They have been marketing their certification as the “gold standard” in the personal training industry for a while now, but this is just a marketing technique used by ACSM. Every certifying agency claims that their certification is the best. If you are just getting started in the industry, make sure to check out my guide to the top recommended certifications as well as how to become a certified personal trainer. You can make excellent money in this industry while doing something you love and helping people at the same time! Now let’s get right into this ACSM review. ACSM was the first certifying agency for personal trainers. It was established back in 1954. Because it has been around for such a long time, the agency has gained a lot of industry recognition. ACSM is also recognized as a scientific body. A lot of the organization’s money and resources are devoted to further research into the field of exercise science. Most of their research is referenced by every other certifying agency in the field. I would classify this certification as a “corrective exercise” certification. This means that it focuses on correcting muscular imbalances and improving core strength. To qualify for ACSM’s general CPT certification, you need to be CPR/AED certified, and you should have a high school diploma. The exam has approximately 150 questions. You get two and a half hours to finish it. The cost of the exam will depend on whether or not you are a member of ACSM. Non-members pay $279 for the exam itself. If you fail to pass the test on your first try, you will have to pay a hefty $150 retest fee. The study materials for the exam are not included in the package. There are three main textbook’s that you can purchase from ACSM’s website. The largest of the three is their primary textbook. This will cost approximately $70. They also have two complementary textbooks that cost roughly $40 each. The first is a text on fitness screening and prescribing exercise routines. The second complementary text focuses on people with disabilities and examination of case studies. ACSM also offers live workshops that you can attend to get hands-on training with ACSM certified instructors. They provide a one-day workshop for $129, as well as a three-day seminar for $375. Overall, you should expect to pay approximately $450 for the study materials and test. 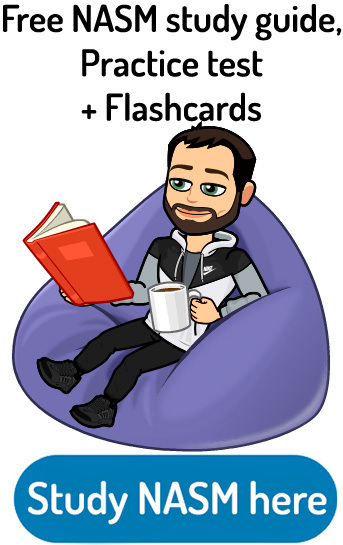 There are a couple of online study resources that you can access. They are not easy to find, in my opinion, but they are there. 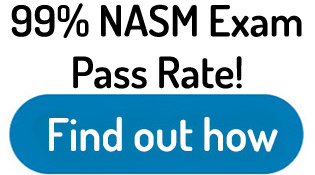 Approximately 71% of first-time test takers pass the ACSM exam on their first try. Similar to the NSCA, you are required to show proof of continuing education every three years to get recertified. 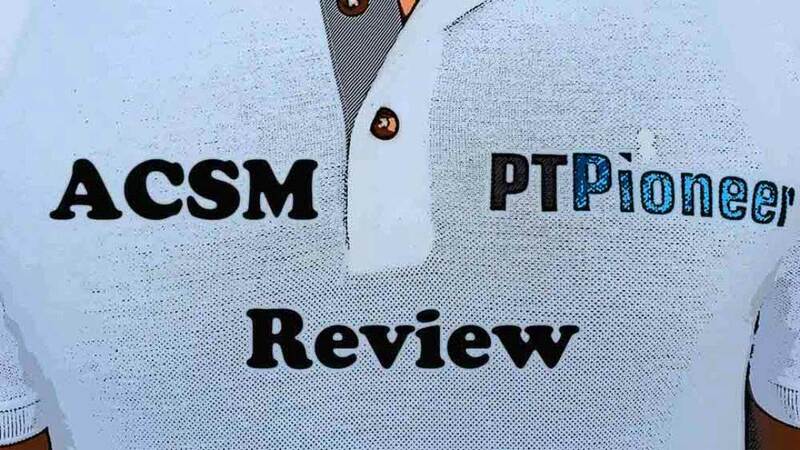 I would put the ACSM CPT in my top four certifications (along with NASM, ACE, and NSCA). It is highly regarded by every employer that I have ever talked to. If you’re still having trouble on which training certification to choose, Take the quiz to help you figure it out. This certifying agency has improved research in the fitness industry by leaps and bounds. In my opinion, they focus more on research than on the application of it for personal trainers. I think that organizations such as ACE or NASM do a better job than ACSM of providing solid study materials and program design for their trainers. ACSM does a great job of teaching the basics to new personal trainers. If you decide to go with ACSM, you should also check out their HFI certification. To qualify, you are required to have at least two years of training (Associate Degree) in a health-related field. Make sure to check out some of my other certification reviews so you can find the one that is best for you. A proper certification that works well with ACSM, NASM or any other corrective exercise certification is a health coach certification. I just wrote a guide on how to become a health coach that you should check out. 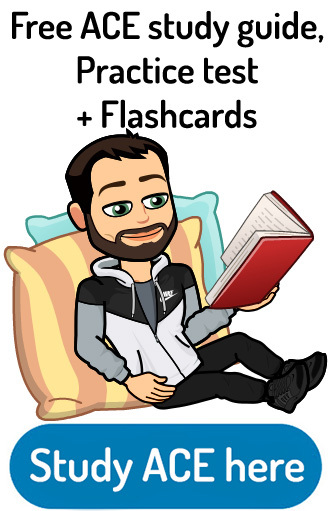 Another section that might interest you is my comparison articles like NSCA vs NASM, NSCA vs ACSM, ACSM vs NASM and ACSM vs ACE. I suggest you check out the ACSM website for more information. Leave a comment down below if you have any questions for me! Hey Rohit, Go for it. The ASCM is a fantastic certification! I personally think that the ACE general personal trainer certification is the best for the general population. Especially if you are planning on working at the YMCA as they are are a very reputable certification with them.